ESRI is a company that designs and develops the world’s most complete range of Geographic Information Systems (GIS). In order to continue adding more services to its software programs, ESRI creates partnerships with the most innovative VSBs and SMEs. It was in the framework of this partnership programme that ESRI started working with TENEVIA in the field of hydrology decision support. The goal of this agreement is to propose a real Hydrological Information System by integrating TENEVIA’s innovative solutions in the ESRI tools, particularly ArcGIS Online. More generally, TENEVIA’s aim is to ensure its customers easier use of the environmental data from its solutions, particularly the hydrometric and hydrological systems. 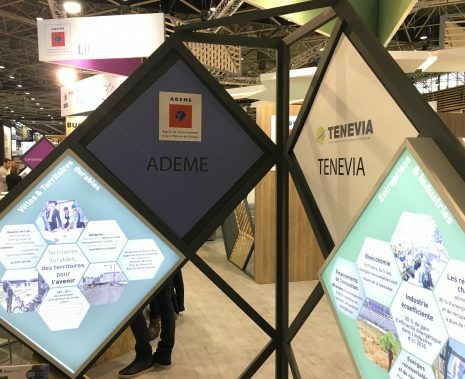 Indeed, the company’s strategy is based on developing sensors and simulators that can be used with the tools that TENEVIA’s clients generally use, like GIS, warning services and other supervision or hypervision systems.